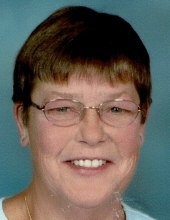 Carol S. Elchert, 65, of Cridersville, and former Tiffin and Republic resident, died unexpectedly Wednesday evening April 10, 2019 at Lima Memorial Hospital in Lima. Carol was born May 18, 1953 in Tiffin, to Stephen and Martha (Steinmetz) Elchert. Survivors include three sisters, Anna (Tim) Morlock of Carey, Peggy Elchert of Tiffin, and Martha “Marty” Factor of Republic, several nieces and nephews, and a close friend, Carol Colafanti of Lima. She was preceded in death by a sister, Jane Gross, three nieces, Pamela, Diane, and Jenifer, an infant brother Urban and twin infants Joseph and Mary. Carol was a member of St. Aloysius Catholic Church in Republic, a 1971 graduate of Seneca East High School, and she was an avid bowler, bowling in the Grange Bowling League, and enjoyed watching the Cleveland Indians and Browns, and OSU Buckeyes. She was a STNA and had worked at the Autumnwood Care Center in Tiffin, and at the Villa in Green Springs. Visitation for family and friends will be Tuesday April 16, 2019, from 5-8 pm. at the Lindsey-Shook Funeral Home, 3085 S. SR. 19 Bloomville, a Scripture Services will be Tuesday at 4:30 pm at the funeral home. A Mass of Christian Burial will be held Wednesday April 17, 2019, at 10:30 am at Our Lady of Hope Catholic Church in Attica, with Rev. Nathan Bockrath officiating. Burial will follow at Seneca Memory Gardens in Tiffin. In lieu of flowers memorial contributions may be made to a charity of the donor’s choice, or to the family. To send flowers or a remembrance gift to the family of Carol S. Elchert, please visit our Tribute Store. "Email Address" would like to share the life celebration of Carol S. Elchert. Click on the "link" to go to share a favorite memory or leave a condolence message for the family.